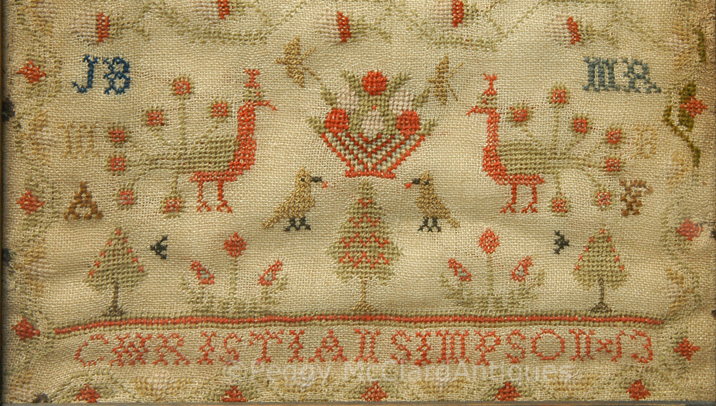 Beautiful Scottish sampler of Miss Christian Simpson. It is silk thread on loosely woven linen in green, red, blue, gold, and black (or dark brown). Christian used a variety of stitches in her sampler, including cross-stitch, Queen (or perhaps a buttonhole stitch) and some type of running stitch. She included three alphabets, all caps for all three. The first two, smaller alphabets run together on the third line. The first is missing “P”. Both small alphabets are missing “U”. The larger alphabet goes only through “P” and Christian transposed “I” and “H”. 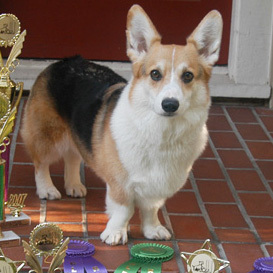 All very charming mistakes for a young schoolgirl learning handiwork. Christian used wonderful motifs including a pair of peafowl, a pair of smaller birds with fruit in their beaks, a basket of fruit or flowers with two butterflies fluttering above, trees, flowers, and nice borders around the edges and between the components of the sampler. The bottom row of the sampler is signed “CHRISTIAN SIMPSON * 13”. Assuming 13 was her age, the sampler is circa 1847 because Scottish census records show that she was born about 1834. 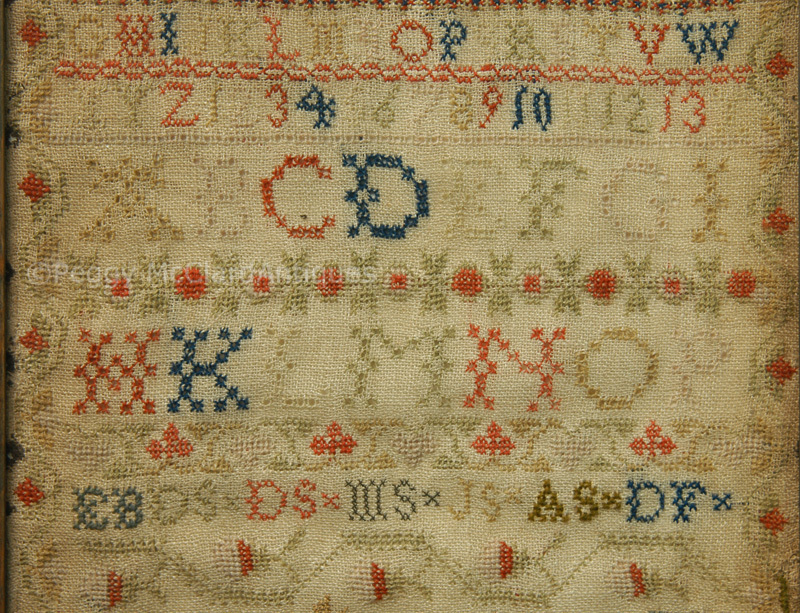 Note that between the alphabets and decorative motifs, Christen stitched the initials of her parents and siblings “EB DS DS MS JS AS DF”. Christian’s father James David Simpson married her mother Euphemia Blelach in 1831. Christian Simpson's siblings were David Simpson, Marion Simpson, James Simpson, and Andrew Simpson. I’m not sure who the final “DF” is. 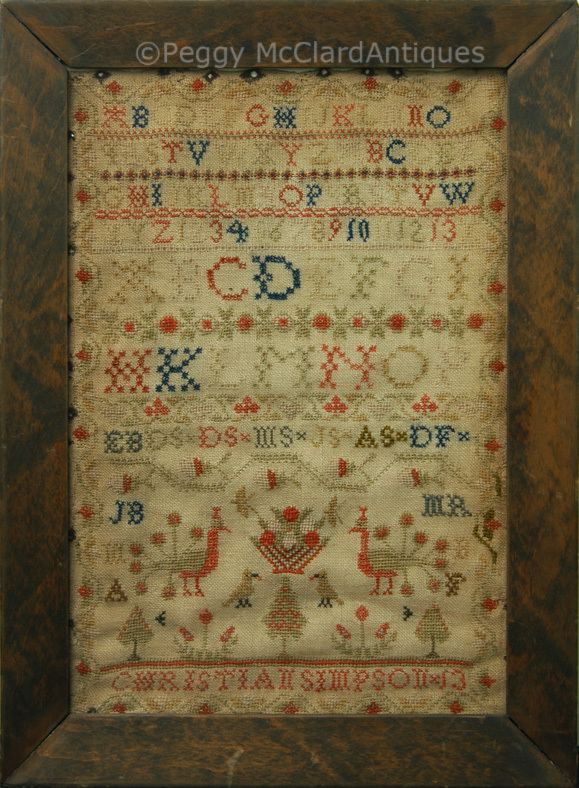 In the panel of decorative motifs, Christian included initials "JB” and “MR". Below "JB" is “M” over “A”. Still father down is "MR" is "B" over F". Christian’s grandparents were James Bleloch (or Blelach) and Marion Rae, hence the “JB” and “MR”. The other letters will probably remain a mystery to me. 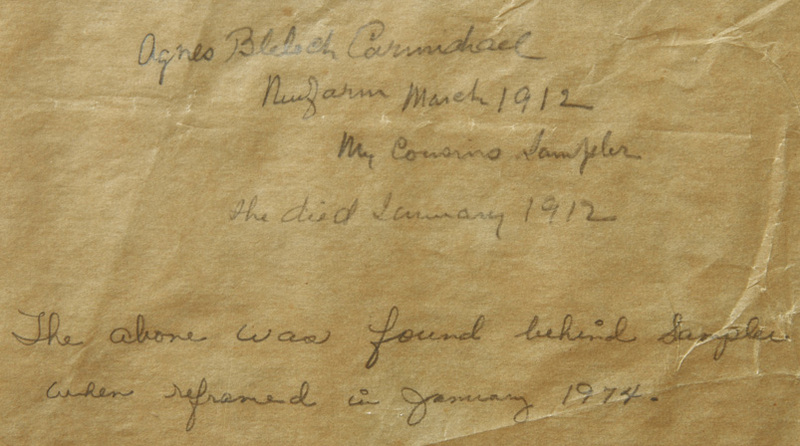 (Note: Agnes Blelach Carmichael was 1st cousin to Miss Christian Simpson. 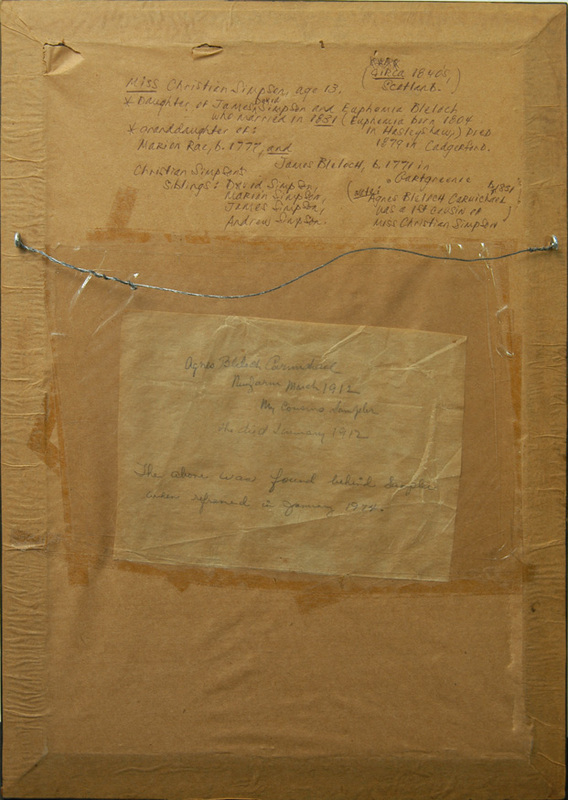 The above was found behind Sampler when reframed in January 1974. 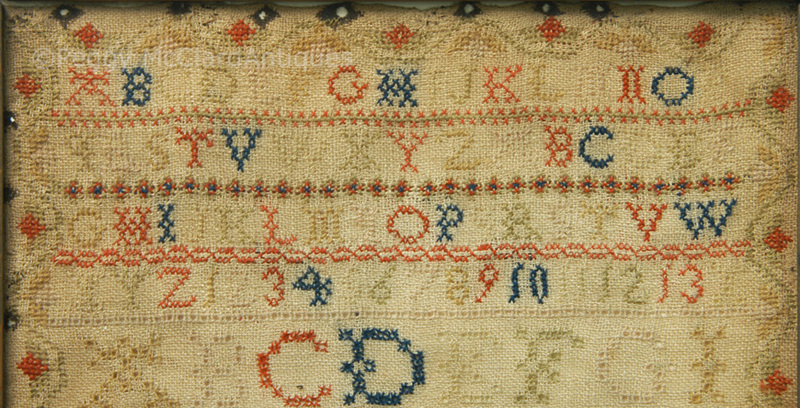 This is a very nice 19th century sampler at a very reasonable price. Circa 1847.